It’s no secret that I love Motown Music!! I mean, I REALLY love Motown music and everything about the early days of Motown! If you don’t believe me, check out this link! I lived in Detroit for 3 years (during my residency training) before I moved to Nashville and loved it! I’ve always been familiar with Detroit because I have lots of family there, but living there for 3 years was a wonderfully unique experience. There is so much to take in about the history of Motown and how Berry Gordy started this brand with a single $800 loan from his family! 1.) You have to start somewhere – Motown Founder, Barry Gordy, was working on the assembly line at a Ford Motor Company Factory prior to starting Motown. He became inspired by the musical sounds the machines made as they were working to fabricate car parts. He began writing for local singers including Jackie Wilson. 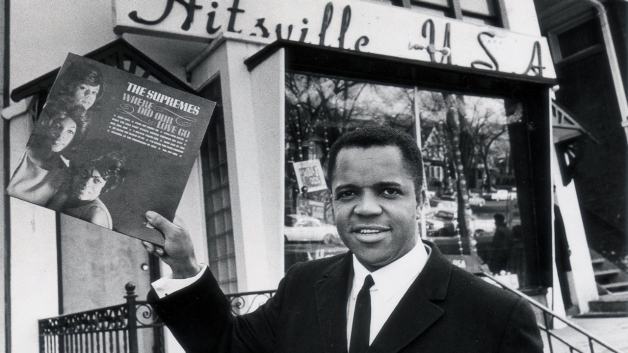 Realizing that the major financial advantage was on the executive side of the business, Barry decided to secure a $800 loan from his family’s loan fund and founded Motown in 1959! 2.) Take risks and don’t be afraid of failure – With just $800 and some of what he made off royalties from writing for local singer, Jackie Wilson, Gordy had a vision for his record company. He knew there was a chance he might fail, but he did not let that stop him. He was determined to make his dream a reality! 3.) Work with what you already know. You don’t have to reinvent the wheel; just grease it a little bit! – Gordy had never owned a record label or music company before nor had he ever been an executive in any company prior to starting Motown. He worked in a car factory, but used that experience, the dedicated long hours on the assembly line, understanding mass production of cars (from which he used as inspiration for mass production of records), etc to make his new venture successful. Gordy ran Motown almost like a factory. The studio was open 22 hours a day and there were quality control measures in place to ensure that only the best music was being produced and released. 4.) Start small – Motown started in that one small house on West Grand Blvd in Detroit, MI. There was a photography studio in the back that was turned into a small recording studio. Berry Gordy and his family turned the 2nd floor into living quarters for themselves. By 1966, the company had grown so much that it started buying nearby houses – approximately 8 of them. In that same amount of time (7 years) the company grew to over 450 employees and grossed an income of over $20 Million! 6.) Have a consistent cohesive appearance for everyone on the team – The clean-cut, well-groomed, well-tailored appearance of the Motown artists is one thing that always comes to mind when talking about Motown. Gordy knew that in order for the Motown artists to break into popular culture and mainstream America, they would have to look, dress and act like royalty. Their performance attire was always cohesive and classy. The artists were elegant on stage, during interviews and other public appearances. They functioned as cohesive units. 7.) Allow only your best work to make it into the hands of customers and clients – Gordy held quality control meetings every Friday and would only let the absolute best music be released to the public. If he didn’t feel like a given song would make it into the top 5 of the charts, he didn’t let it leave the studio. 8.) Be so good, they can’t ignore you! – As the Motown Brand began to take off, the momentum could not be ignored. The artists’ brand was consistent across the board. A Motown song can come on the radio right now and even if you’ve never heard it before, that Trademark sound is recognizable anywhere! The artists began to travel the country and then the world! They even began going into areas that black artists were not allowed to enter previously. 10.) 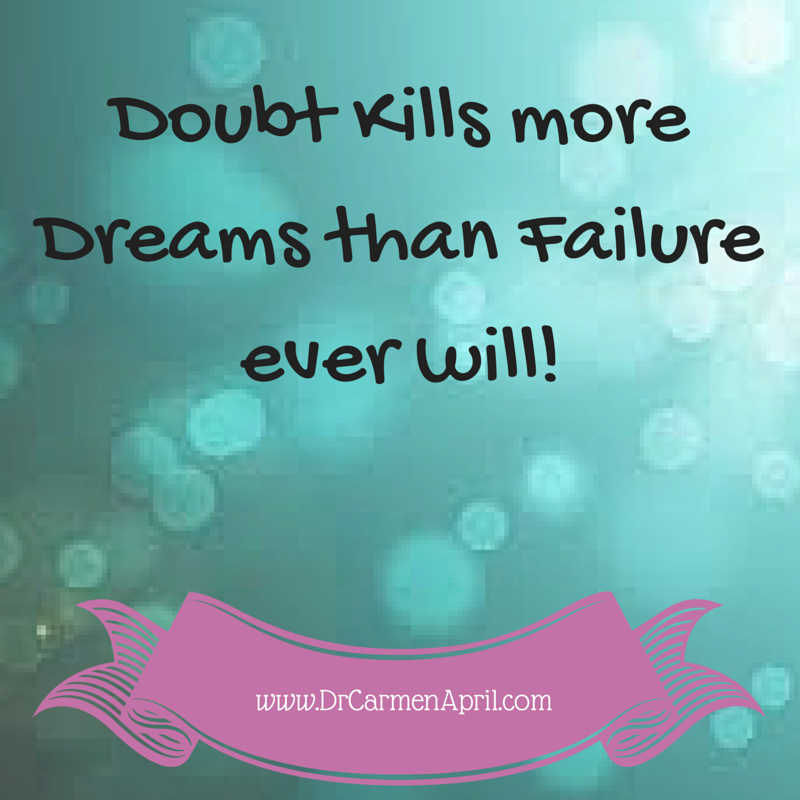 Become a great storyteller and be able to tell your story better than anyone else! – The Motown story is iconic because what they delivered was iconic! The emotions that Motown music elicits is one of a kind! I wasn’t even alive when Motown got started, but even now in 2014, the music is on constant rotation on my iPod. I’ve been super excited being backstage at The Four Tops and Temptations concerts and I always know Christmas Season is in full effect when I hear Silent Night by the Temptations played on the radio every year. Motown has taken great care to tell their story and years later, it continues to resonate with people of all ages! 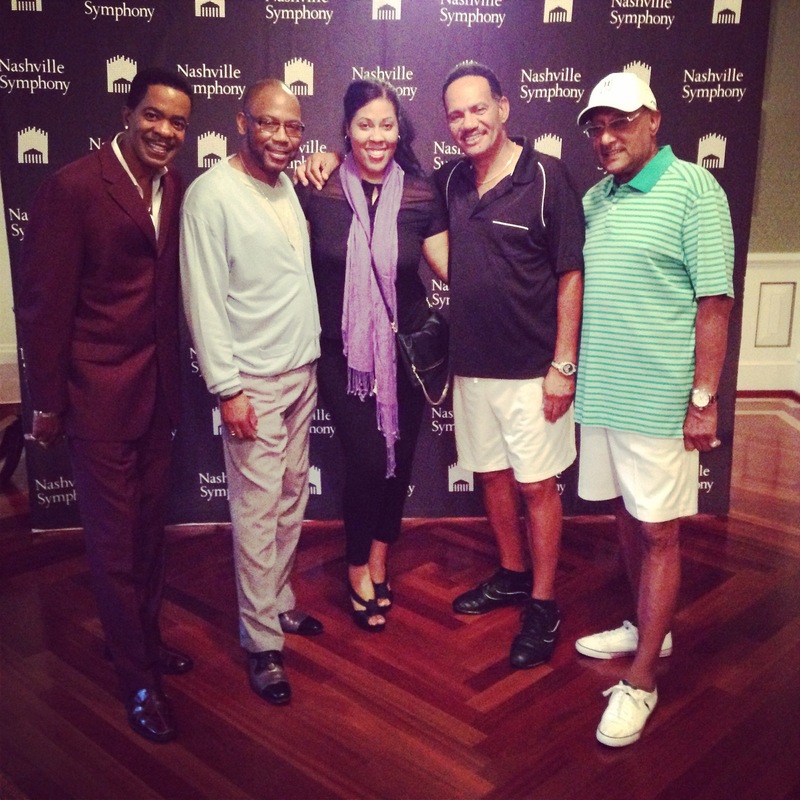 Here is a photo I took backstage with The Four Tops during one of their recent concerts in Nashville with the Nashville Symphony. My wonderful cousin, Mr Robie Nichols, has been their wardrobe Manger/Stylist for years and always hooks me up with tickets and backstage access when they are in town!